Gray, the color we attach to characterless people, often suggests bleakness, lack of intensity, a cool detachment. The oppressively predominating gray of the stone walls surrounding Snow White’s mother in Burkert’s picture of her demands our detachment from her but also contrasts with the vibrantly colored patterns we see surrounding her as we look through her window into her room; perhaps as a foreshadowing of her daughter’s fate, she is a small spot of lively beauty in an otherwise bleak and forbidding world. In Inter-city, the wordless story of a train trip, Charles Keeping creates a similar relationship between what can be seen around a window and what can be seen through it. The feeling of boring detachment in the predominantly brownish grey pictures of passengers on a train contrasts with the vibrant colors of the world outside the train’s windows, which the passengers ignore. The contrast between the monochrome of the passenger pictures and the rich colours of the window pictures supports the central theme of the book: we see the passengers as they themselves see the world, and we see the richness of the world they miss because they do not bother to look at it. and below is an interior image from Inter-City. Most of these greys have a hue to them. Yellow greys, orange greys… Then there is completely desaturated grey. Forest green makes an interesting accent colour against grey — it’s more often something bright like yellow. Critics love Maurice Sendak. For a lot of academic stuff about Where The Wild Things Are see here. 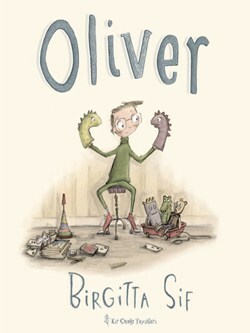 For a post on The Picturebooks of Chris Van Allsburgh see here. For a full analysis of Blackdog see here. Do you know the word eigengrau? How does the colour of the sky throughout Hilda Bewildered give clues about the time of day, the plot sequence and the difference between Princess Hilda’s reality versus the imagined scenes? Highlight below for some answers. Golden — The story opens with a wintry dusk. As nightfall comes, the sky looks green through the dining hall window. The blue sky from Hilda’s imaginary airship is a cerulean, unlikely sort of blue. This is also the blue of the screens which appear throughout the story — the detectives’ computer screen, the view through the security cameras. Events behind a screen are not real for the viewer (even though real for the characters depicted), just as Hilda’s imaginary world of unnaturally blue sky is also one-removed from reality. The sky of the grimy city is a browny yellow, to contrast with the golden colour surrounding the palace — an oasis of riches. As the taxi moves into the forest the sky turns blacker and blacker as Hilda finds her way into her mental cave (and eventually to a basement in an abandoned hotel in the middle of a dark forest). But on the final page the sky is back to dusky yellow, because The Other Hilda is wholly imagined: It is still sunset and Hilda has yet to make her speech. As she makes the speech she imagines she is talking to tussock rather than to a daunting crowd of people. From the stage, though, she sees nothing but bright lights. Brainstorm some ideas/themes which are commonly symbolised by the colour green in storytelling and in pop-culture. There are many different shades of green. Do different shades of green suggest different meanings? Do a Google image search for green movie posters (by going to advanced search and setting the colour to green). After looking at a large number of green movie posters, what kinds of stories are associated with green? Princess Hilda’s ring is emerald green. What does the colour green symbolise in Hilda Bewildered? Highlight the text below for some answers. THE FOREST: This is common in myths/legends/fairytales. This is connected to the female principle/The Great Mother. Vegetable life thrives in a forest, free from any control or cultivation. Princess Hilda’s life is so regimented she craves freedom. Foliage excludes sunlight, so the forest is considered in opposition to the sun’s power. The forest symbolises the unconscious. Jung said that the sylvan terrors that figure so prominently in children’s tales symbolise the perilous aspects of the unconscious. Houses and cultivated lands are safe areas but the forest harbours all sorts of dangers and demons, enemies and diseases. (Zimmer). The forest in this tale contrasts with the manicured garden at the Royal Palace: subdued, ordered, selected, enclosed. LIFE AND DEATH: Green is the colour of life; it is also the colour of death (of gangrenous corpses). Death is represented by black through the greenish shades up to a typically bright green colour, after which it symbolises life. Giving a speech in front of many people feels like a life and death situation for the princess. Life and death are opposites, as are the princess and her alter ego. A forest is full of life, but for an ill-equipped girl, it also means danger and death. THE MIDDLE PLACE: Green takes the middle place in the everyday scale of colours. Green is an intermediate, transitional colour spanning between the two groups of ‘advancing’ colours and ‘retreating colours’. (This is because it is mixed from blue, a retreating colour, and yellow, an advancing one.) The Other Hilda lives in the shadows of society (a retreating character) but she would like to advance socially – she just has no idea how to go about it. This is impossible for a girl in her position with her plain looks. Green can also be associated with the ghostly/uncanny, with peace, growth, branching out, turning over a new leaf, imagination. Picturebook Study: Why the Black and White? 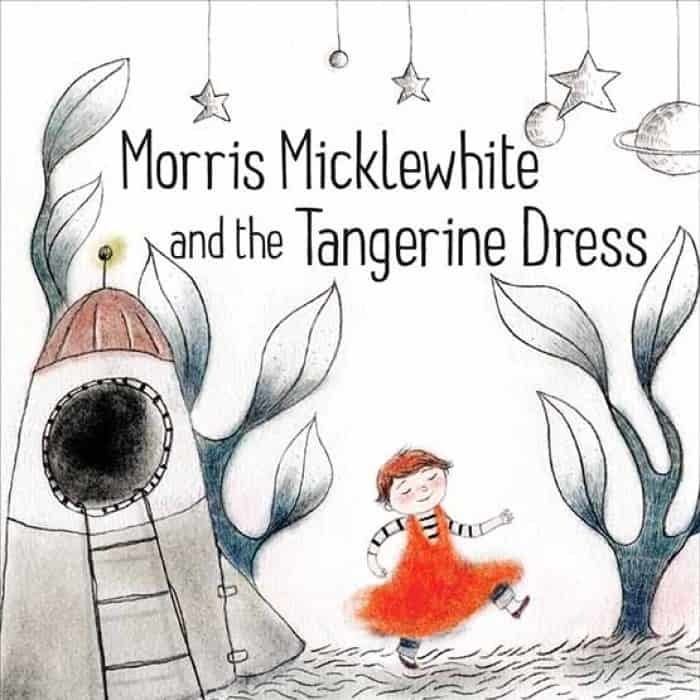 While some picturebooks are in black and white for economic reasons, serious picture-book artists who choose to aavoid color in a medium noted for its use of color often have similar special points to make. The obvious example is the work of Chris Van Allsburg. The black-and-white pictures in both The Garden of Abdul Gasazi and Jumanji evoke the feeling of black-and-white still photographs that have been slightly over-developed to emphasize their contrasts. They are uncompromisingly objective and detached–unlike the world we see subjectively with our own eyes simply because they are so much like photographs. Paradoxically, we commonly associate black and white with uncompromising truth, utter absence of subjective coloring: documentary. Van Allsburg’s pictures have the quality of documentary, of detached observation that shows exactly what there is to see without the frivolous intrusion of color, and they are unsettling simply because what we see so uncompromisingly is often magic and impossible. The technology of photography has influenced picturebooks — and art in general — in a number of different ways. One standout convention is that greyscale images make the reader think of the days before colour film was invented. This works even if the artwork is an illustration, not a photo. It works if the illustration is not even close to photo-realistic. The effect is made very clear when looking at these old images which have been realistically colorised. The effect is really quite stunning: We’re used to looking at wartime photos in black and white, which lends a comfortable distance to horrific world events. Yet when the same photos are colorised, the events seem much more recent and therefore have more impact. The inverse works too. I recently watched The Last Picture Show, which was filmed in 1971 and therefore could have been shot in full colour, but the black and whiteness of it makes the town seem older. The story is set in the 1950s. What about recently produced films set in the past? Why are more not set in black and white? Possibly it’s because in the digital age of film, cinematographers have ready access to coloured filters. A yellow hue cast over the background can lend an old-style look (as seen in Delicatessen, 1991). I mention these films for adults because I’m not so sure the bulk of consumers and critics feel that ‘black and white’ is of any artistic use at all, let alone ‘appropriate for children’. Do adult gatekeepers accept the convention of black and white pictures in the stories they choose to buy for children? Case study: After creating The Fanastic Flying Books Of Morris Lessmore, Moonbot Studios produced an app called The Numberlys, which baffled some reviewers because it was in black and white. The opening of the app is gripping and quite dark (which makes sense given the inspiration), so it is unlikely to really capture the attention of pre-schoolers (I say this because as you’ll read later I have a hunch they are partly considered a key audience). It is in a black and white, slightly sepia tone and harks back to the type of animation that is aiming to appeal to both adults and children – though here it probably will be of greater interest to children of elementary school age and older. I must admit, I felt a bit duped by the description of the Numberlys app after I bought, downloaded and launched the app. I was expecting something bigger and longer that would appeal more to adults. Was it the black and white look of the app which lead the reviewer to assume that The Numberlys was intended for an older audience? The story is told through beautiful black and white animated graphics which are clearly inspired by the classic sci-fi film Metropolis, but with a modern touch. …thereby picking up that the black and white is influenced by work that has come before — in this case, the work of Fritz Lang. Will children appreciate any of this? The example of The Numberlys shows that regardless of what children themselves think, reviewers (and I guess adult consumers) are likely to assume that media produced in black and white will appeal to adult sensibilities. A black and white story for children, therefore, better make sure it lives up to the huge challenge of appealing to a dual audience of children and adults alike. Filmmaker IQ has a post on the reasons why we might still choose to desaturate an image, and this is one of them. In a portrait with strong lighting, a calm face can suddenly look menacing, or vice versa. In this case, the lack of colour means that colour can’t interfere with the tonal contrast. The best example of this is the entire art noir movement. Furthermore, the heavy contrasts of these pictures emphasize the patterns created by the various shapes and so do the black lines that outline each shape, so that the relationships o these shapes on the flat surface of the page are as significant as the relationships of the figures the shapes represent in the three-dimensional picture space. As a result, and as happens in photographs with high contrast, the often intense action the pictures depict is slowed down, held by the patterns; like still pictures of people caught in moments of fast action, the pictures depends to a great extent on these paradoxical relationships between what is depicted and the photographic techniques used to depict it–between our expectations of documentary truth and our perception of magic, between activity and stopped time. There is nothing wrong with black and white as an artistic decision. But is there a ‘hybrid’ decision that can be made about colour, one which will satisfy the artistic goals of a limited palette as well as consumer expectation that children need colour? It will be interesting to see how further developments in technology influence colour choice in art. With everyone sticking filters on things, the filters themselves are sure to come and go. Perhaps when we look back at the twenty-teens, we’ll see ‘iPhone filter’ stamped all over our family shots. So why do we do this? Perhaps photography got too good. Maybe we like the overexposed look, because one thing black and white early photography was very good at was adding a touch of glamour. And who needs every blemish magnified with a 50 megapixel camera? If you want to create a retro-looking illustration, you can also limit your palette to the few colours that were available to printing houses way back when. Many older illustrations are red and black simply because the publishing houses couldn’t afford a wider range. In its most basic role, colour is used to represent the hue of things as they appear in the real world. Colour may be used contrastively to highlight or foreground some element within a composition to make it especially salient to the viewer. This is about the emotional effect colour has on the viewer. This refers to the visceral response we have, independent of the actual story being told. Other useful words are: ambience, mood, atmosphere. 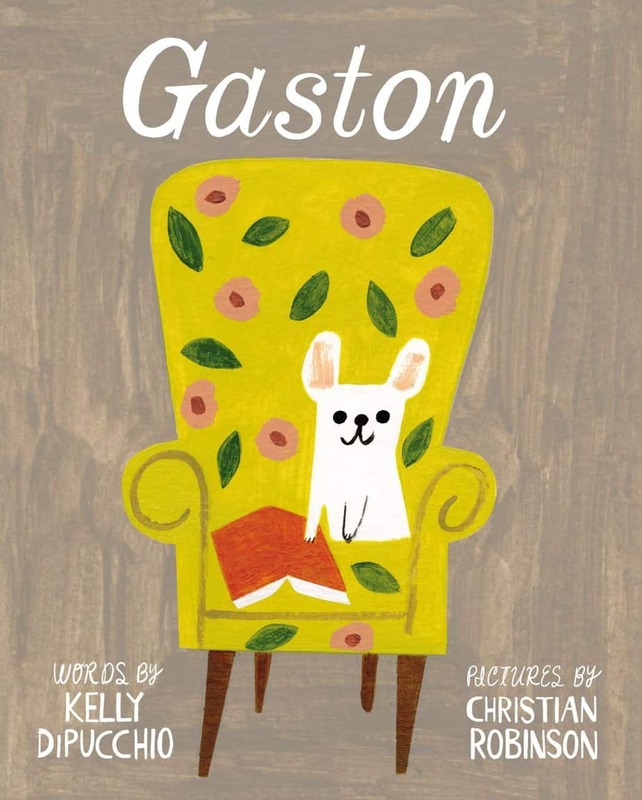 A picture book done in monochrome might make us feel melancholy or reflective or sombre. Sepia tones put us in mind of an historicised story. We can speak in terms of vibrancy, which is another term for saturation (lots of colour, or tending more towards monochrome). Vibrancy creates excitement whereas muted choices create gentle, restrained feelings, or perhaps flat feelings. Note that ‘muted’ can refer to either light or dark images. Rosie’s Walk is muted but light, whereas Wolves In The Walls is muted but dark. We can speak in terms of warmth, according to how yellow/blue a picture is. Warm colours and cool colours can signal the temperature of the environment but also the emotion of the characters, or both. And something not seen in digital art software: we can also speak in terms of ‘familiarity’. Familiar illustrations will have more colour differentiation whereas ‘removed’ illustrations will have less. A ‘familiar’ ambience is made up of lots of ‘colour differentiation’. (Lots of different colours.) The reason it’s called ‘familiar’ is because the real world is also made up of lots of different colours, and we are familiar with the real world. When illustrators make use of a reduced palette they are making the conscious decision to move readers away from the familiar and into the strange. There will be a reason for wanting to move us away from reality and it’s just a matter of working out what that reason is when analysing an illustration. Vibrancy, warmth and familiarity are all active simultaneously — they don’t cancel each other out. An opposite of the ‘familiar’ colour scheme might be described as ‘saudade’, from Portuguese. 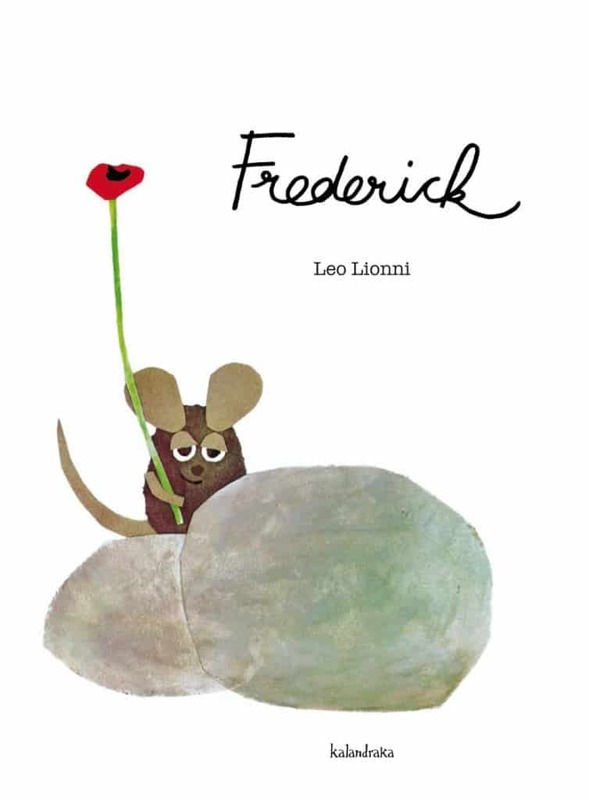 In picturebooks you often see a page sans setting — a part of the scene has been pulled out and placed on a white background. This is done to draw the reader’s attention to the emotion in the picture rather than to encourage a focus on the ambience. Splashes of colour within generally dark pictures usually mean something in the story, too. For example, a bright splash of colour that runs through a book might foreshadow a happy ending. Another kind of colour contrast used in picturebooks: A coloured frame or margin that carries the ambience. Try dividing the picture into parts according to light and dark, in shadow or in light, warm or cool, and see how the composition looks now. Here’s a very nice resource for anyone who would like to know about the History and Science of Colour Temperature, at a website called Filmmaker IQ. Film School Rejects shared a program which averages the colour of films and comes out with a single hue. It would be interesting to apply this to picturebooks. Meantime, there are plans to use it on Disney films. Yet for some strange reason I haven’t heard the name of this colour used in advertisements much. I guess when it comes to the multifarious shades of brown, ‘coffee’, ‘cocoa’ and ‘chocolate’ variants win hands down. See 10 more colours you’ve probably never heard of, and learn the colour of the year for 2013 (what, already?) at Mental Floss. Chris Van Allsburg is an American writer and illustrator. 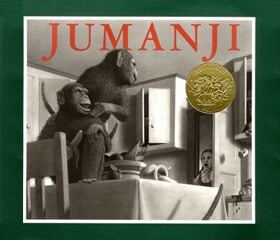 You’ve probably heard of Jumanji and The Polar Express, which have been adapted for film. Have you read the others? The Stranger is a page turner of a picture book which asks more questions than it answers, and reminds me of the Australian picture book written and illustrated by Shaun Tan in which an ‘exchange student’ arrives, strange things happen, and then he departs. This is a story with a similar plot, asking different questions. 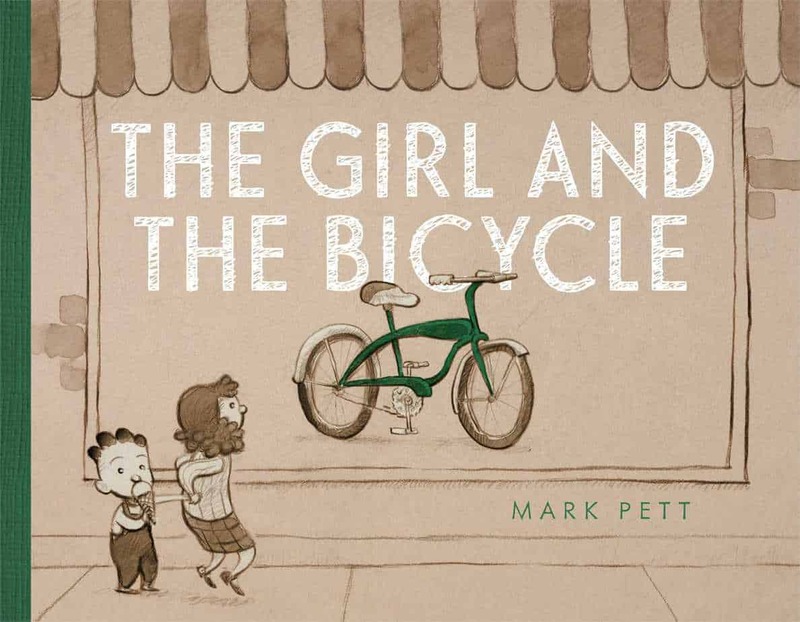 The drama begins on the very first page when a little girl’s father runs over a man on the road. At first he thinks he’s hit a deer, then he is worried he’s killed a man, but the man seems to have little wrong with him other than being struck by amnesia and rendered speechless. It soon becomes apparent to the reader that there are supernatural elements in this story: The doctor’s thermometer is ‘broken’ (not registering life heat at all); the visitor has a way with rabbits, and is highly interested in the flock of birds flying across the sky. When the stranger leaves, however, the reader is not told why and we never find out if this is a dead man who seems alive, if he has magical powers which stop the trees from turning orange, where he came from or where he is going. There are just enough strange things in the illustrations to really make the reader work hard. For one thing, the stranger looks very much like the little girl’s father. They wear similar clothes. This may partly be because the stranger has borrowed the father’s clothes, but even their face and hair is the same. The stranger is a lot happier than the father, dancing and singing and taking time to sit with her on the grass looking at the sky. Perhaps this is a little girl imagining what her father could be like (but isn’t), or perhaps this farmer father has had a very good year crops wise, due to the weather (part of the story), and the little girl has constructed her own story about the newly exuberant father who suddenly seems to be in a wonderful humour. The illustrations are coloured pencil, with a variety of sketching techniques: the trees look pointillist, and the sky is drawn with long, continuous lines. The colour overlaid upon colour invite the eye to linger. The autumn colours of the surrounding farmlands are an important part of the plot and are rendered beautifully. Not only is colour striking in this book; page design is beautiful too. We first meet the little girl looking through the door from her position sitting at the bottom of the stairs. This puts the young reader in the little girl’s position, looking through a doorway, not quite knowing what’s going on, and identifying first and foremost not with the adults but with the young character. After the visitor has departed, we see a birds’-eye-view of the father, mother and girl as they stand on their front lawn, wondering where he has gone. 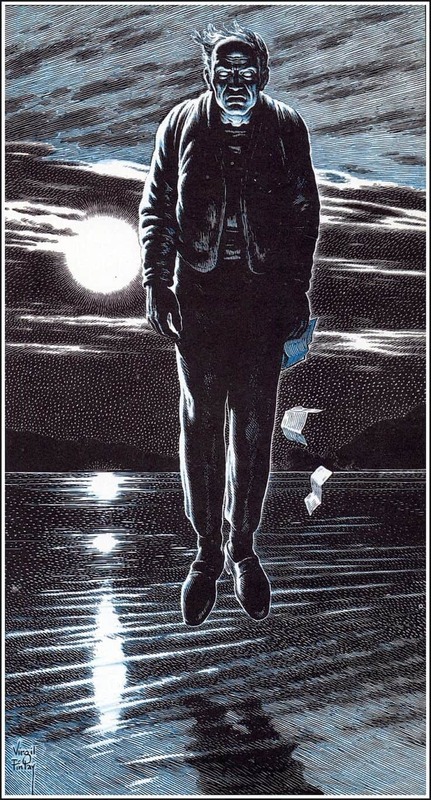 This point of view suggests that the visitor has flown upwards, into the sky and therefore into some supernatural world, and the viewer now sees the family from his perspective. As the story draws to a close, so too, do the family get smaller and further away. 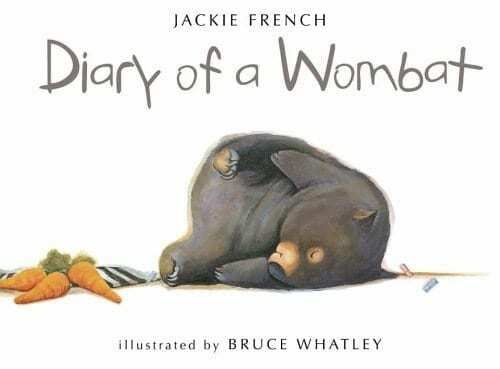 This is a wonderful story and one of my favourites, designed especially for readers who are happy with ambiguity in picture books. 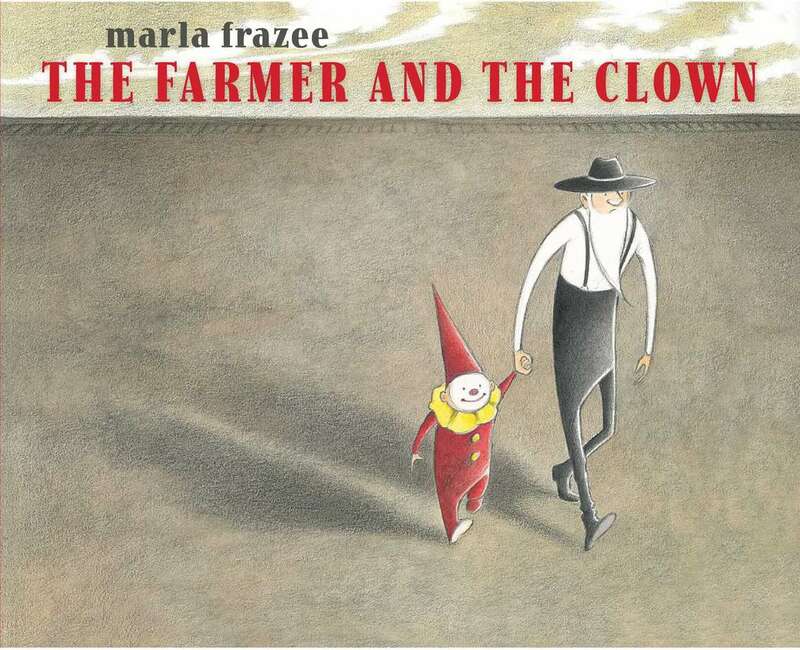 The two child protagonists are a little older than most characters in picture books. A boy and girl walk home from school together before each going to their own houses to complete a geography assignment. 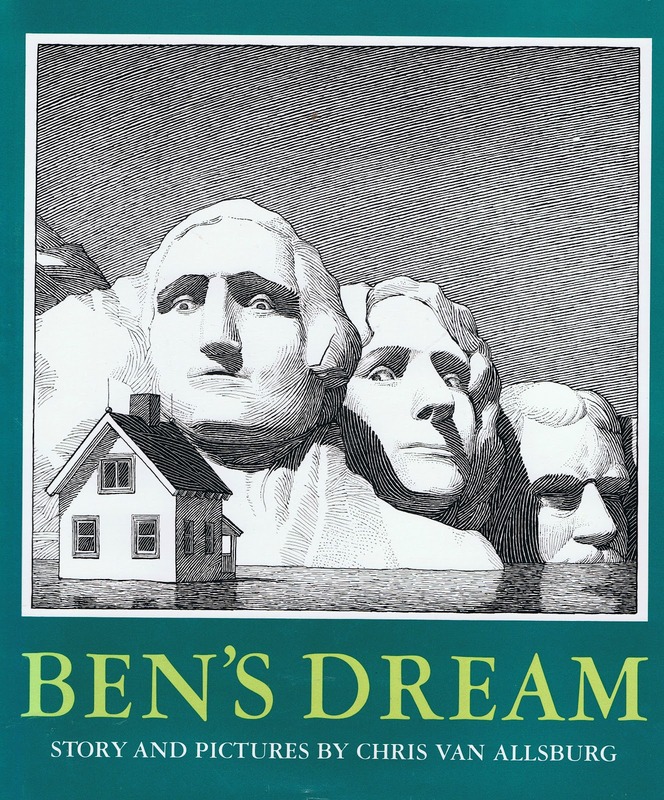 Finding his parents out, Ben falls asleep in a chair and dreams his house has turned into a boat in a giant sea. The words end and the black and white linocut illustrations continue to tell the story, as Ben floats past various famous world landmarks. He is woken abruptly by his friend Margaret who has come to ask him to join her in a game of baseball. This is where the words begin again. She tells him that she has had an amazing dream and it turns out they’ve had the same dream. Van Allsburg makes use of various children’s storytelling techniques in this one: Absent adults (there’s a note in the illustration to say the mother has gone shopping), dreaming to enter a strange world in which anything can happen, and an ending which suggests the story wasn’t just a dream; it was something more and some unnamed magic must have been involved. 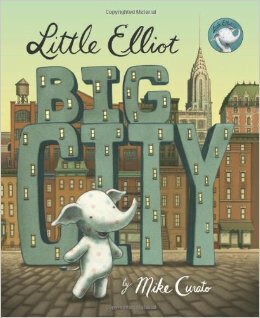 This story would be an excellent way to introduce children to some famous landmarks. Just a Dream is a story with an environmental message, one that has evolved a bit since 1990, I feel. A boy is interested in futuristic dramas on the television, but doesn’t bother separating his rubbish. He puts the wrong rubbish in the wrong rubbish bin because he’s keen to get back to his show. That very afternoon he has already littered on the street and walked past a neighbour girl, who is watering the tree she got for her birthday. Walter scoffs at this, but something must have happened inside his head, because that night he is plagued with bad dreams about a terrible future. Each time he wakes up and dozes off again he seems to be woken by a worse one. In the morning he feels so guilt-ridden that he goes outside and places the rubbish bag in the correct bin. He has his birthday party a few days later and has requested a tree. This book is unusual in that it does not end with a picture — it ends with a wall of words which explain the previous picture — two trees growing in a futuristic utopian world. The text explains that these are the trees planted by the two children in the story, only many years later, after they have cared for the world. I only wish this message had been conveyed in a more subtle way — perhaps the trees could have had plaques on them or something. The overt message in this story is that if we go through the right motions of planting trees in our backyards and sorting the rubbish, then everything’s going to be okay. I do think that’s what it felt like back in 1990, but I’d be interested to know how the author/illustrator’s views have changed since then, if at all, in a world where ‘recycling’ really means ‘down cycling’, is in itself energy intensive, and when planting a tree in the yard goes only so far towards combating climate change. This is a collection of pictures which do not form a sequential narrative in their own right, each one telling its own story. This would be a wonderful way to inspire a class of students who are about to embark on a creative writing exercise. 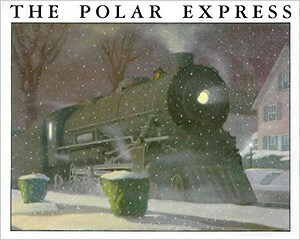 The Polar Express was adapted for film. As an adult viewer I find the film adaptation a little drawn out in an attempt to create something highly commercial out of a much-loved children’s book, but I feel this would have been better as a short film of about 20 minutes, like the adaptation of Julia Donaldson’s The Gruffalo. The reason the book works so well is because it manages the reader’s emotions so well. We feel the excitement of the boy as the Polar Express turns up at his house. We feel his pride when he is the one picked to receive the first gift of the year. We especially feel his disappointment when he learns that he has lost the bell through the hole in his pocket. This disappointment is conveyed perfectly by the boy who hangs his head and the concerned and consoling children who surround him on the train. It’s at this point in the story we wonder if this is all a dream. But Van Allsburg likes to play with the reader in this sense. The next morning there is a bell waiting for him under the tree, with a note from Santa to fix the hole in his pants. The parents think the bell is broken because it doesn’t make a sound, but the children think it makes the most beautiful sound in the world. This part of the plot seems especially ingenious, playing on natural human hearing loss, in which only people under 20 can hear the highest pitches, with our hearing range gradually narrowing with age. In this case, the message is that imagination gradually narrows with age, and the final page is a reminder that we can keep our minds open if we try hard enough. This story is framed by a young boy speaking to an old man on the beach, next to the wreck of a small boat. 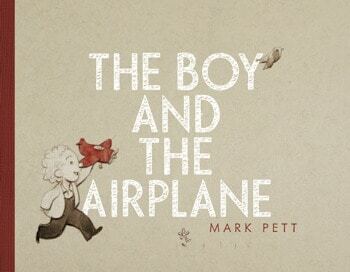 The boy wonders how it came to be there and the old man spins a fantastic story about a boy who flew it above the clouds before crashing down and breaking a bone. 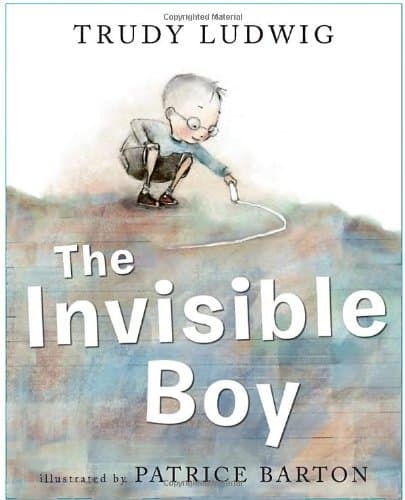 A slightly sophisticated reader should infer that the old man telling the story was the boy, though adult readers will probably infer that this old man’s gone a bit loco or is making up a story to a naive younger audience.